Yesterday, Alex and I enjoyed another trip with the Outdoor Rec program. 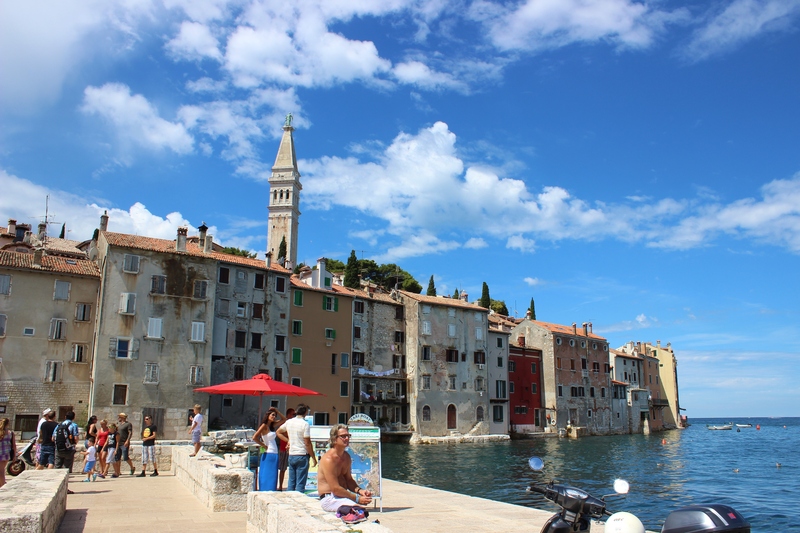 This one was a day cruise in Croatia from the town of Poreč down to Rovinj. The weather couldn’t have been better and it was a gorgeous day on the water. The bus drive ended up being 4 hours, though if you drive yourself it’s sure to be less. That is, unless you hit traffic at the border between Slovenia and Croatia – make sure to bring your passport, and go early to avoid traffic backups there. 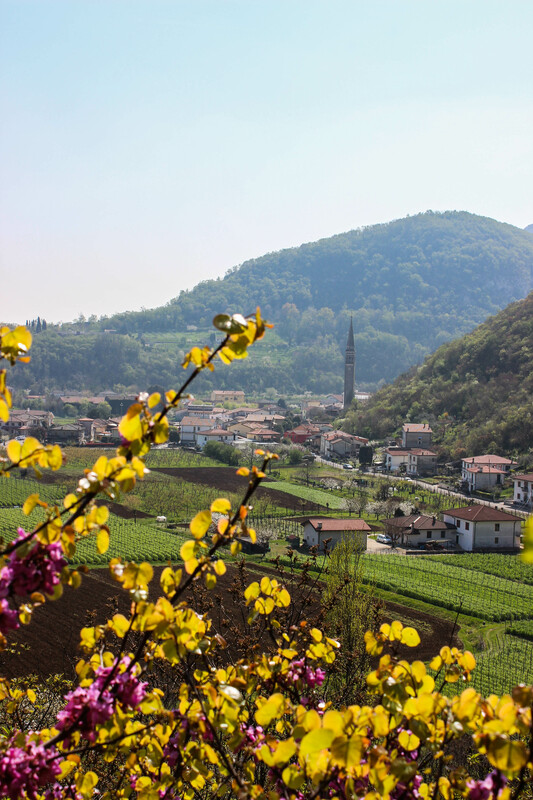 The drive through Slovenia and northern Croatia was beautiful, and so much different than Italy. Everything was vibrant green and full of trees. I know these countries are renowned for their national parks and beautiful nature, but we’ll have to see that next time because this trip was all about the coast. 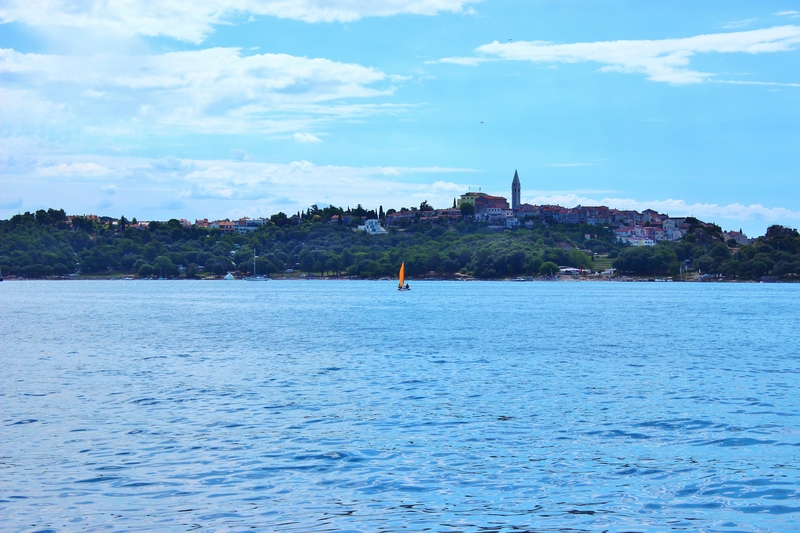 In Poreč we walked down to the pier and saw lots of different tourist boats advertising different cruise tours. 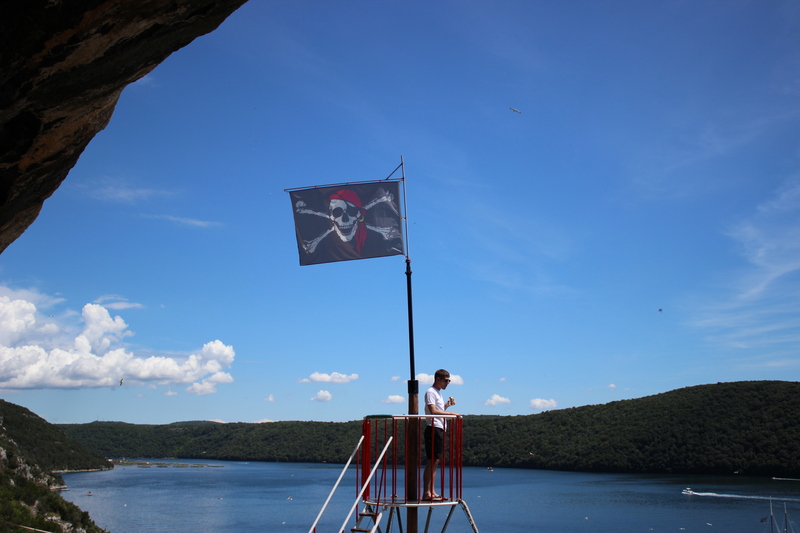 I believe ours ended up being one titled “Pirate Picnic,” which included a seafood lunch and a stop at a pirate cave. I’m not sure of the price, and looking it up has proved fruitless, but I’m willing to bet it would be worth the cost. 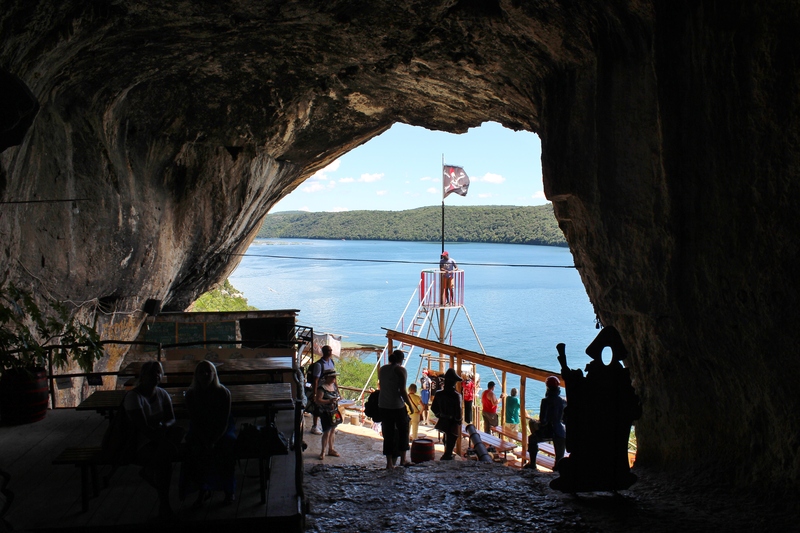 Croatia is still relatively cheap, though prices are going up as more and more tourists discover all it has to offer. The cruise boat was small and a bit cramped, but it was worth it just to be out on the water again. Living in a completely landlocked area with no car makes it hard to get out and enjoy the beach on a whim. Anyway, the cruise lasted almost 7 hours, which is why I think we got pretty good bang for our buck. 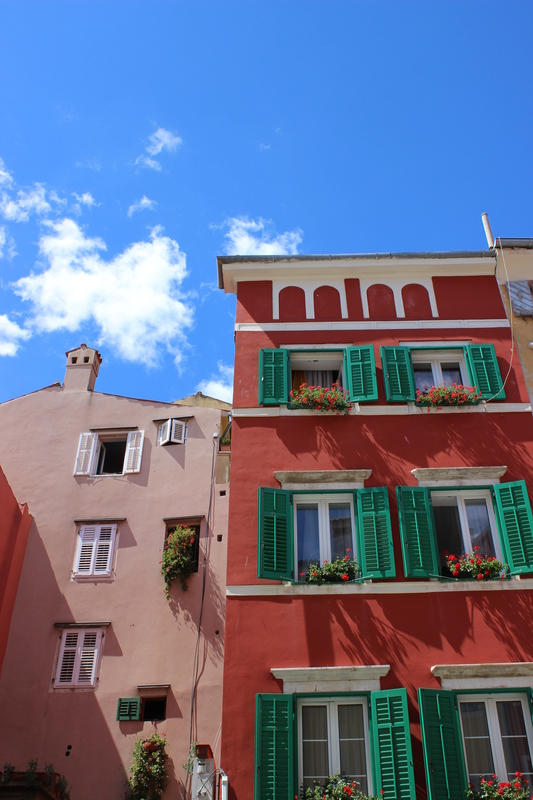 We sailed down to the town of Rovinj and had a couple hours to check out the town. Since we were leaving for IRELAND(!!!!) the next day, we kept our spending to a minimum and just got our souvenir magnet and a beer for Alex. 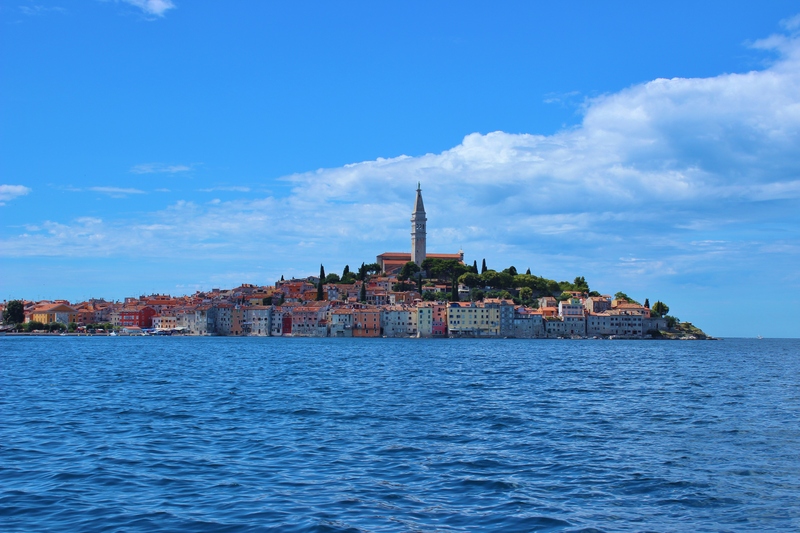 We didn’t get to see too much of Rovinj, and thinking back I wish that we had made more of our time there because it’s not very big and we could have seen much more. I think we were a little too mesmerized by the harbor and the delicious breeze from the water to venture too far from it. 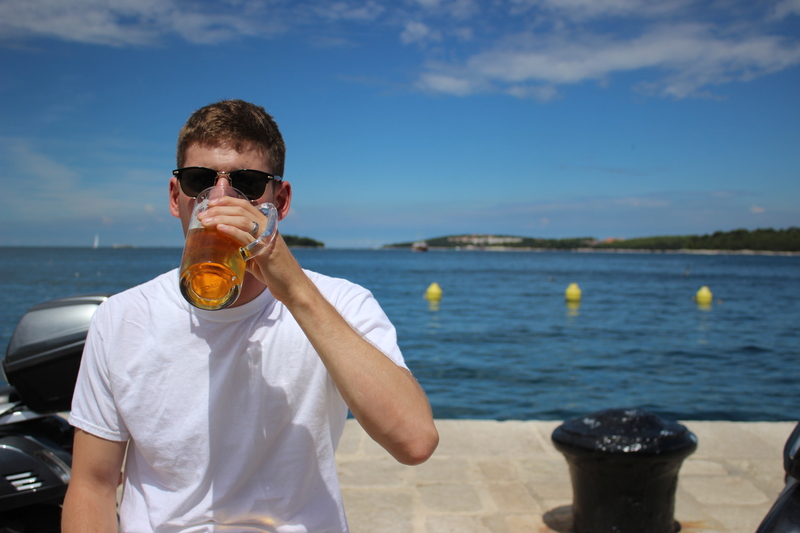 The best part about Rovinj though, was that it was relaxing! We were there at lunch time on a Saturday in mid-July. You would expect it to be the height of tourist season (and I assume it is) and packed shoulder-to-shoulder with sweaty foreigners. But it wasn’t. It was quiet and roomy and perfect. Kids and dogs were playing in a little beachy area and the entire town center was taken up by market vendors, and it was STILL lovely. I can’t wait to go back and do some more thorough exploring when we have more time. 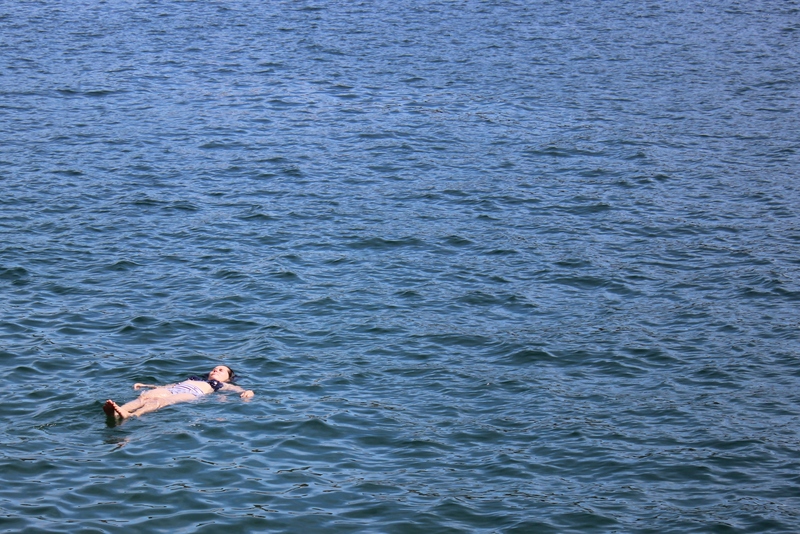 After that we went back down to the dock and FINALLY got some swimming in! That was the part I had been looking forward to most. The water was warm and clear and very very salty. Alex did some kickass tricks off the dock, and the only thing that was lacking was more time. I could have spent the rest of the day swimming. Once we got back on the boat, I was exhausted and ready to go to sleep. The good thing about not driving ourselves was that we got to snooze the whole way home. 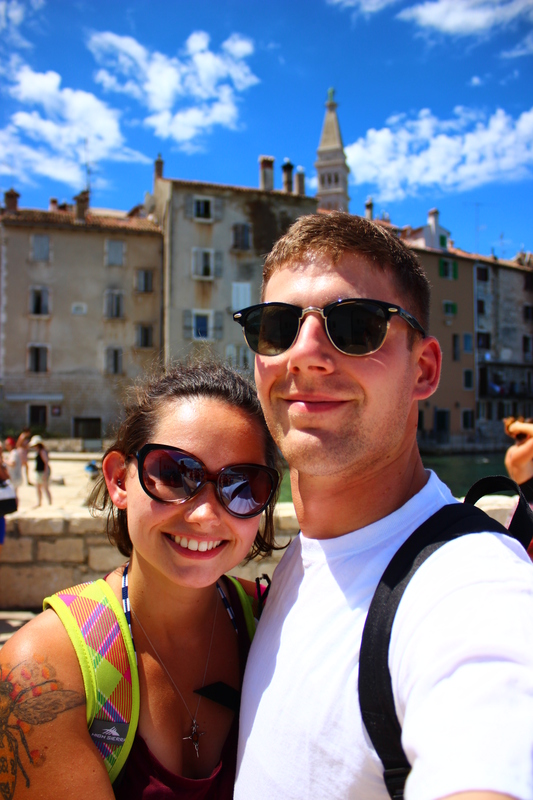 We will most definitely be back to Croatia! NOTE: Most beaches in Croatia are rocky, not sandy, so bring a mat and/or water shoes if you’re sensitive. And beware of naked people – there are plenty of nudist beaches! My eyes…. 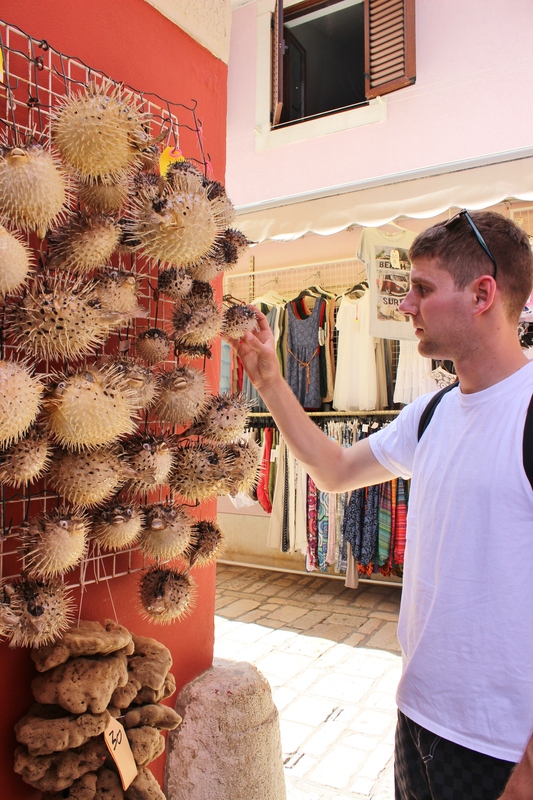 This entry was posted in More in Europe, Travels and tagged Adriatic, beach, Croatia, cruise, destination, Mediterranean, More in Europe, Porec, Rovinj, sea, travel. Bookmark the permalink.